Overall, this is a good story with engaging characters. I liked that they were multidimensional. There's enough going on with the plot to keep your attention: romance, character growth, a bit of a mystery. However the overly sentimental tone really started to get to me after a while. If you're in the mood for something in this vein, it won't disappoint. But if you get impatient with Hallmark movies, you might want to pass on this one. P.S. The narration was great. One halo brought sight to Brielle. Another offers sweet relief from what she sees. Brielle can't help but see the Celestial. Even without the halo, the invisible realm is everywhere she looks. It's impossibly beautiful - and terrifying, especially now. Because a battle rages above Stratus, Oregon. The Terrestrial Veil is ripping, and demons walk the streets past unseeing mortals. Dark, sticky fear drips from every face, and nightmares haunt Brielle's sleep. Worst of all, Jake is gone. 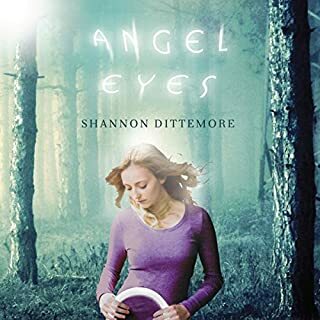 The only boy she's ever loved has been taken by the demon, Damien. Beautiful Conclusion, Narrator not as good though. After seeing our characters put through the wringer in the previous two books, it was actually hard for me to finish up the series. I just wanted the happy ending! Thankfully, I did eventually get that happy ending, but a lot of turmoil came first. There were several fascinating twists and turns and quite a bit of emotional upheaval, but this conclusion was both captivating and satisfying. Despite the fact that this is the same narrator as the previous two installments, the narration was not as good. She was frequently over-acting. Our protagonist's voice was far too often completely distraught and overcome, even though the text doesn't always seem to support the tone choice. The result is that she actually started to annoy me at times with her gut-wrench-y wailing. Still, worth it to effectively end a beautiful and thought-provoking series. This was the first time that I had heard a Full Cast Audio production, and I was a bit hesitant. I'm so used to the more traditional style. However, Book of a Thousand Days did not disappoint! I actually found the full cast part to be really engaging and not at all distracting as I had feared. 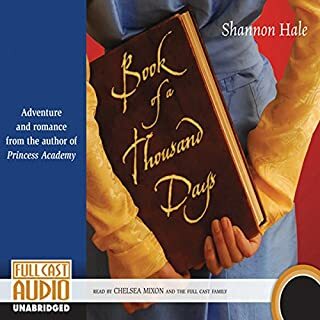 The story is another Shannon Hale twist on an old fairy tale, but it's my absolute favorite of the bunch. I love the heroine, Dashti, with her courage, kindness, and imperfections. I like that she can be moody and make mistakes, but she is still completely likable and worth rooting for. The format of the book is that it's her journal, and that part is well done in terms of writing. I'm always frustrated with journal-like books that don't make sense as journals, but here you can see even her silly thoughts and daily problems. The audiobook does lose a bit though as it doesn't (obviously) contain Dashti's illustrations, which are in the hard copy version. All in all, classic (and wonderful) retelling of a fairy tale with a very engaging full cast production. I highly recommend it. Firstly, I was a huge fan of These Broken Stars, particularly the amazing audio production. This Shattered World is in the same universe as that book and there is some character overlap/crossover, but TSW could also stand alone. What I like most about this series is that it takes a fairly classic theme/setup, but before it can feel cliche, the story goes way out there. The basic premise is rebel leader and soldier falling in love and trying to stop the fighting, but it is also way more than that. I won't give specifics as to how it changes as that would be spoilery. In comparison to These Broken Stars, I think that they are equally good stories but the overall production of TBS is more impressive than TSW. 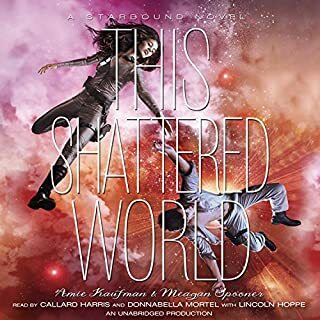 This Shattered World has great narrator performances and very cool sound effects, but These Broken Stars was so phenomenal with their interview segments, voice talent, and sound fx that it's a tough act to follow. All in all, a great audiobook in its own right and a very satisfying follow-up for fans of TBS. I highly recommend it. The biggest flaw is in McCulloh's narration. The worst part is that she pauses ridiculously long between her phrases. Seriously, ridiculously long. 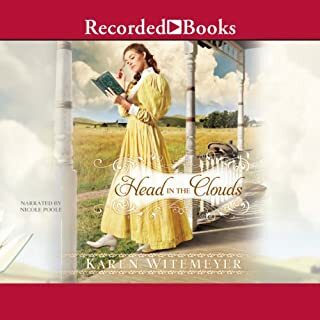 I had to listen to the whole book at 1.5x the speed, which made some words and phrases sound a bit funny, but shortened the pauses enough to keep me from going completely insane. Also, sometimes I couldn't distinguish between her different character voices and got confused about who was talking. I had to use the little rewind 30 seconds button and listen again, paying more attention to the other dialogue cues to figure it out. 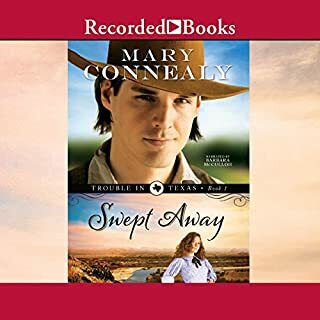 All in all, the narration really took away from the selection, and my next step is to return Swept Away and get my credit back. I think I'll pick up the ebook though. There are some great themes like crossing cultures, adoption, and some that I can't mention for fear of spoilers, but mostly, it's the protagonists that seem to be born in the wrong century (and I mean that in a good way!). Adelaid is very independent, passionate, and intelligent---one of my favorite lines is when she mentions how all little girls should dream up stories of "fair maidens who outwit dull princes to rescue friendly dragons." Gideon, though, is no dull prince; in fact, he's the sexiest male protagonist I've come across in this genre (don't worry, nothing scandalous). He's compassionate, occasionally sharp-tempered, and quite witty. Though he's got the whole protective vibe characteristic of the genre, he's characterized more by his humor and charm. Gideon and Adelaid are so right for each other, and their relationship unfolds in a very real and endearing way. 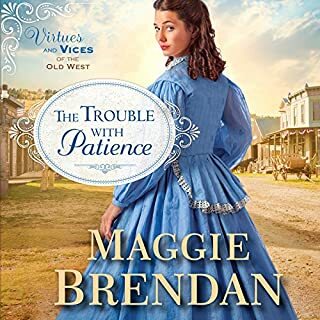 This genre is usually strife with romances that are all about how the characters' insecurities (particularly the heroine's) or lots of miscommunication get in the way of their happily ever after. For G & A, this is not the case (won't say anymore---you've got to read it yourself). ~Note on Narration: Poole does a great job, particularly with the funny lines. Although the accents weren't perfect, they were believable and really added to the experience. I could always tell who was speaking; the characterization was spot-on. Order dictates Tucker Carmichael’s life - his orders. On a cattle drive, a moment’s hesitation can mean death. The Chisholm Trail is dirty, dangerous, and no place for women. After years at school, Jessalyn Culpepper has come home and is determined to show everyone that a woman can manage everything from cooking to cattle - whether they like it or not! Tucker tries to manage his partner’s headstrong sister, horrified when she wants to join the cattle drive. 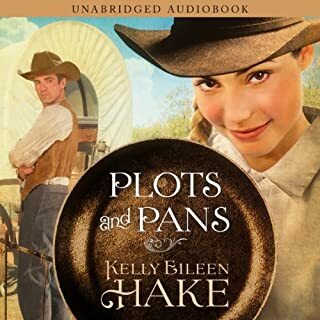 Plots and Pans is a light and enjoyable read for those who enjoy Christian romance fiction. The characters are flawed but likeable, and the chemistry between the leads is satisfying. I enjoyed the Biblical lesson woven into the story, but didn't find it forced down my throat. The only criticism that I can offer is that the story is fairly predictable and the transition from "Wait, maybe I don't actually hate you----we just passionately misunderstand each other" to "Let's get married!" is a bit rushed. As to the narrator, Dunn's reading voice is animated and engaging, but she doesn't differentiate the characters' voices enough. Sometimes it was difficult to follow the dialogue because the characters sounded so alike. This is the first Lauren Oliver novel that I have read. The story line is exciting and well thought out. 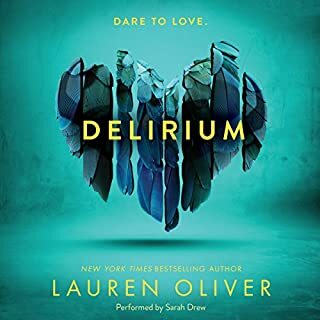 The thematic elements definitely bring to mind other teen dystopia favorites such as The Giver and The Hunger Games, but Delirium has enough of its own flair to keep from feeling unoriginal. 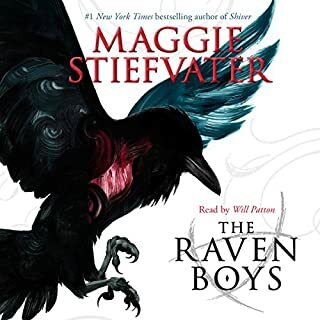 The best part of this audiobook, by far, is Sarah Drew's masterful narration. I don't believe that I would have been as impressed with the novel had she not so completely wrapped me up in the story. She IS Lena Haloway - complicated, often conflicted, but utterly real. Christian YA Lit that is Actually Interesting! The basic plot is quite similar to the ones currently in vogue in YA Literature: somewhat emotionally damaged girl meets charming but mysterious boy, pair become embroiled in epic (supernatural) conflict, powers are revealed, random civilians placed in jeopardy, etc. As a fan of YA Lit, definitely up my alley. The characters are excellent and endearing in that "love me even though I'm broken" kind of way. The good news is that the focus of the story is overcoming that "brokenness," so to speak, unlike many YA novels that seem to wallow in it. Also, the solution to their emotional damage is not simply romantic love - a nice change of pace from what much of the currently popular novels suggest. What makes this book incredibly unique is its spiritual foundations. Using angels & demons as characters is not new, but using them in a way that actually promotes faith is. 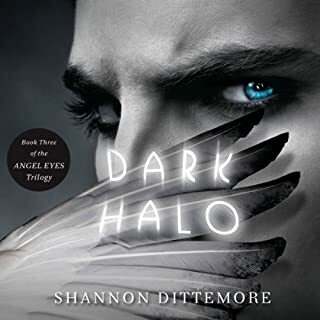 Dittemore raises some great, thought-provoking questions and weaves Biblical stories & truths into her story line. In terms of narration, Cassandra Campbell does an excellent job. I could hear the emotions of the characters throughout the performance. All in all, an awesome listen. As a final note: the ending of the novel, though not a cliffhanger, does suggest future sequels -- I look forward to them!